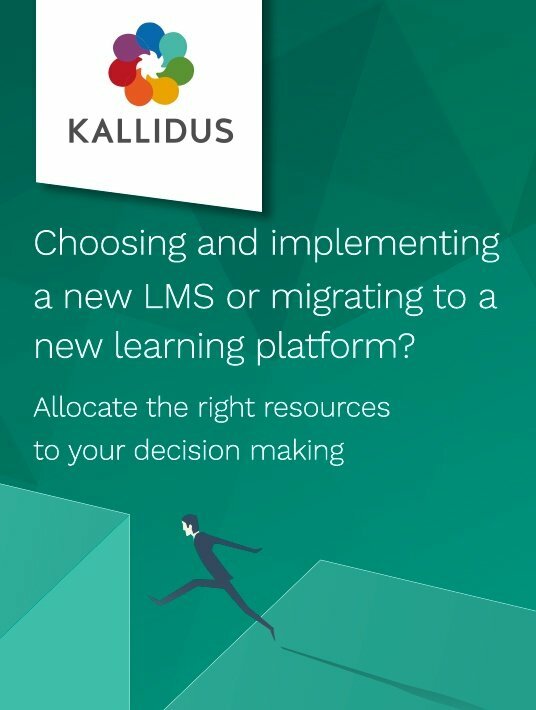 Free eBooks / Choosing And Implementing A New LMS Or Migrating To A New Learning Platform? This eBook will consider the challenges you may face when choosing and implementing an LMS into your organisation, and will look at ways to mitigate risk to ensure its fit to your organisation’s culture and the long-term success following its execution. Whether you are implementing a new LMS from scratch or simply migrating to a new learning platform, ensure you allocate the right resources to each stage of the process. Once you have decided on your objectives and how your LMS should support them, consider the channels that you wish to use to engage your users. Consider who will take ownership of your LMS: will it be IT, HR, Operations, or L&D? There is one factor that is often underestimated by all teams during the initial conversations of implementation: administration. Large organisations are more likely to have a disparate workforce, with a range of invested interests, priorities, and skillsets, alongside a breadth of technologies. Spending time planning and preparing for the launch of your LMS will make a huge difference to the success of your implementation. The LMS design should support an easy-to-navigate experience. Ensure that the LMS provider you opt for has powerful reporting functionality. For your LMS to streamline your learning team structure, centralise data, and enable you to report on learning success across the business, it requires flexibility on the front end and consistency on the backend. Whether you are implementing a new LMS from scratch or simply migrating to a new learning platform, ensure you allocate the right resources to each stage of the process. Without sufficient planning, the ability to deliver meaningful learning experiences will be difficult. When your eLearning project goes well, this doesn’t mean that it’s the end of difficult decisions that you’ll have to make. The question of whether you should choose a new LMS and implement it, or take the option to migrate to a new learning platform, may turn out to be a tedious one. That’s why this eBook will most likely turn out to be of great help, as it considers all relevant matters, be it learners engagement and its measurement, eLearning administration, and a series of other challenges, for which you’ll be adequately prepared after reading it.